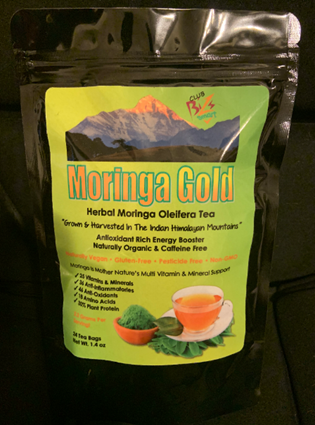 100% Pure Hand - Picked Moringa Oleifera Leaves From The Pristine Himalayan Mountains, Where The Trees Were First Harvested In Naturally Organic Soil Over 4,000 Years Ago. Brewing Instructions: Add 1 tea bag to 8 oz cup of water. Pour in boiling water and steep 3-5 minutes. Remove tea bag and flavor as desired. *FDA Disclaimer: These statements have not been evaluated by the Food and Drug Administration. These products are not intended to diagnose, treat, cure or prevent any disease. Please consult with a licensed health care professional before starting any diet, exercise, supplementation or medication program, or if you are pregnant, nursing, or on a prescription.